The very first time I saw the Carnival Fun stamp set and matching Thin Cuts in the Seasonal Expressions 2 book, I knew I would HAVE to have them! I love summer time, parties, festivals, and the Minnesota State Fair. These stamps are a must in my collection! I put together a quick card this morning, and because it says "It's time to celebrate!" it can be used for many occasions! (NOTE: This is a stamp from the Artfully Sent Cricut Collection which is retiring on July 31st!) The popcorn box and pretzel are Thin Cuts. SO CUTE. I've used Magical paper to bring it all together. 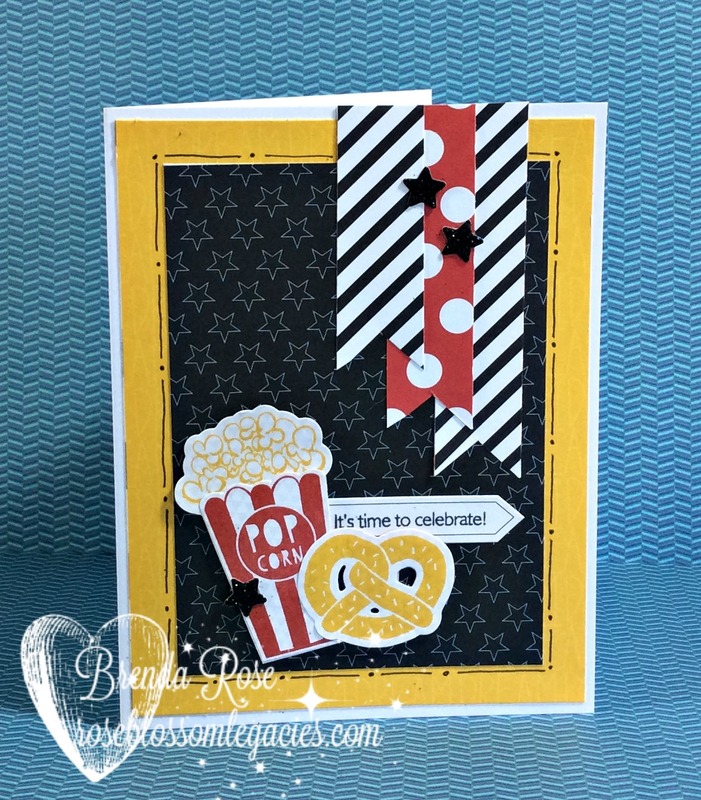 What a fun card filled with celebration for the summer months!! I also want to let you know that there are many things retiring on July 31st. Paper, stamps, colors from the Adventure palette, embellishments, home decor, and the list goes on and on! We are making room for all the super fun product that is being released starting August 1st. Take a look on my website by clicking THIS LINK. Thank you for stopping in today!! I hope that you are having a blessed holiday, and that it is filled with family, friends, food and fun!